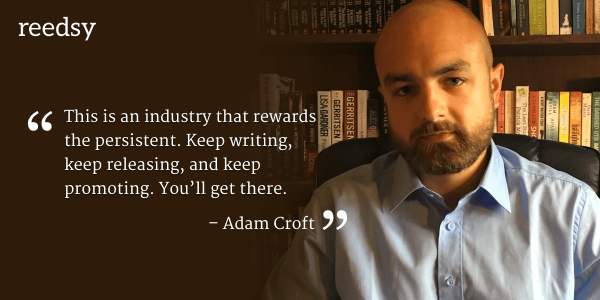 For those of you who are still skeptical about the extent of self-publishing's promise, Adam Croft is all the inspiration you need. With 150,000 copies sold in the first quarter of 2016 and a book deal with Amazon, things are only looking up for this new indie giant. 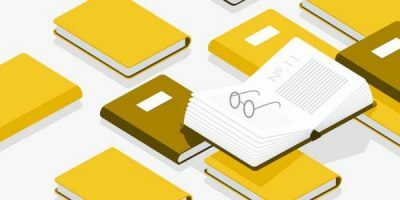 In this post, he shares his top tips for self-publishing. 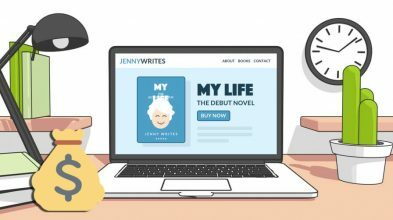 When you’re first starting out as an author, it can be incredibly daunting. I remember the feeling well. Back when I started self-publishing in 2011, there really wasn’t much information or tips out there on how to market your books and be successful at it. I had to find my own way, and along the way I learnt a lot. Since then, I’ve gone on to sell more than half a million books, with my latest becoming the biggest-selling self-published book of the year and landing me a huge publishing deal with Amazon. That took five years of working out what works and what doesn’t. Separating the wheat from the chaff is difficult, especially with so many people professing to be self-publishing experts. Even today, there’s a lot of rubbish out there in the industry. People with barely a few hundred sales put themselves up as gurus to tell others what works and what doesn’t. The signal to noise ratio is low. I hope to cut through that. Here are my top tips based on five years of experience, half a million sales and the biggest-selling indie book of the year. This is absolutely paramount. You’re creating a product and selling it to customers. If that makes you uncomfortable, stop reading now and find a traditional publisher. You need to be business-minded and thinking about profit margins. Otherwise, you’re not after self-publishing; you’re after vanity publishing, which is a whole different ball-game. You won’t release your first book and get big sales. You just won’t. In fact, once you’ve self-published your first book, pat yourself on the back and get on with writing another two. New readers simply aren’t going to flock to your one single book — they like to stick with a certain author. Give them a reason to want to invest in you. Sign up for a MailChimp account and get yourself a mailing list. Simply having readers buy your book and then disappear into the ether is not what you want. You need to be able to get in touch with them and let them know when you’ve got a new book out. Trust me: they won’t be searching your name on Amazon every couple of weeks to see if you’ve got a new one. They won’t even remember your name once they’ve put the book down. They’ll be straight onto the next author who’s marketing his or her books better than you. This is my number one tip in terms of marketing, and I really can’t overstate it enough. For more information on how to make mailing lists really work, check out Nick Stephenson’s books — Reader Magnets, in particular, or even his exhaustive interview on the Reedsy blog. This goes back to my very first point. You want people to buy your book. Why on earth would they touch a book with a cover knocked up in MS Paint? They won’t. Nor will they buy a book designed by someone who’s ‘quite good with PhotoShop’. Even regular graphic designers won’t cut it. You need a specialist book cover designer. Yes, they cost money. That’s the way the world works — people don’t do things for free. Skills cost. That also goes for editing. Your friend/sister/colleague who’s quite good at English isn’t an editor. An editor has a very specific set of specialised skills. And no, you can’t edit yourself. Your brain knows what that word is meant to say, so doesn’t show you the fact you’ve spelt it wrong. This is an investment in your business. If you don’t take yourself seriously, prospective readers sure as hell won’t. Forget social media. It doesn’t work. Yes, I said it. It’s alright — you can pick your jaw up off the floor now. Tell me: how many times have you seen someone tweet ‘Buy my book!’ and thought ‘Cool, yeah, I will’? Probably never. That’s not how advertising works. Advertising on social media can be extremely powerful, but not in the way that most people think. If you want to see how to really do it, check out Mark Dawson’s Facebook Ads for Authors course, or Reedsy's interview with him. Yes, it costs money. But I recouped that spend within a week on the boosted profits I got, and that’s what’s been generating the £2,000 a day in sales that I’ve been getting since. And not just books in your genre, either. Read about story structure and what makes a good book. 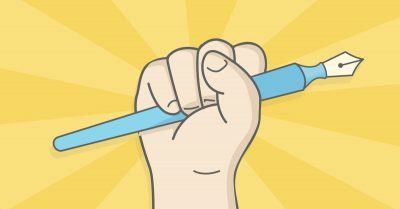 Read about the art of writing (although see point 7 here, too) and keep improving all the time. 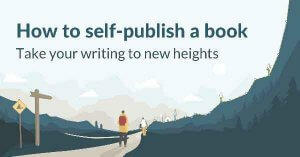 On the marketing front, read ‘Write, Publish, Repeat’ by Johnny B Truant and Sean Platt for all the self-publishing tips I want to share in this article but don’t have room for. Also read Nick Stephenson’s books on publishing and marketing, and take a look at Mark Dawson’s Facebook course. 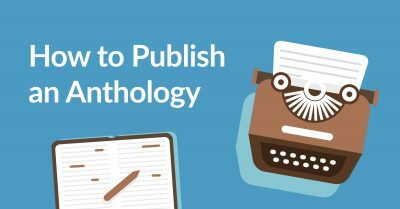 Do them in that order, too, as they focus on different stages of the publishing process. You want to learn how to write? Write, then write some more. Read, then write again. ‘Creative writing’ courses are almost always completely useless. They’ll box you into learning someone else’s style of writing — not yours. You only become a better writer by writing more. I can say one good thing for creative writing courses, however: They’re a fantastic way for failed writers to make the money they haven’t been able to make by selling books. Think on that for a few moments. Do you want to know the reason why there are tens of thousands of newly self-published books hitting Amazon every week? And why most of them will never go anywhere? It’s because their authors firstly don’t follow the tips above, and/or give up when their first books don’t sell as well as they expected. This is an industry that rewards the persistent. Keep writing, keep releasing, and keep promoting. You’ll get there. This is an industry that rewards the persistent. Keep writing, keep releasing, and keep promoting. 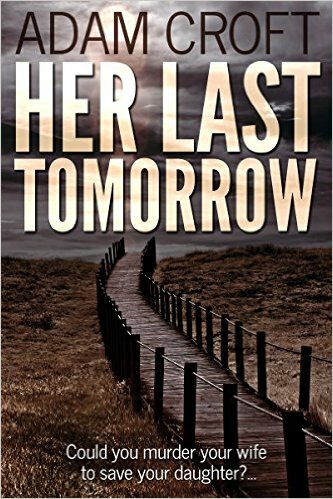 You can get your own copy of Adam's latest thriller, Her Last Tomorrow here. Agree with Adam's methods? 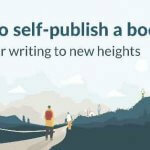 Do you have your own secret self-publishing tips? Share them here, or ask Adam any question in the comments below! Sean Penn is part of the SPP team now? Lol,,, you must have just watched a movie and had his name on your brain. Anyway, I like what you had to say about all the hype out there. It's seemingly endless. It's really hard to know who to trust. I'll say this: Reedsy (and Ricardo) seem like the real deal, and I like what they are doing with Reedsy. There is so much information out there for free. You have Jim Butcher posting a masters degree worth of knowledge on Live Journal for free AND posting hundreds of hours of video of him teaching craft, for free. Then you have guys with vampire series nobody has ever heard of charging money to teach newbies how to write. Let's see: Best Selling Dresden Files author: Free training. My general metric: If you're being funneled, you're probably a sucker. Not always true, but it works as a very good heuristic. 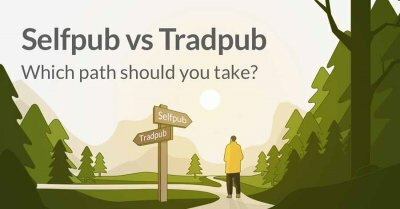 The theory on funnelling isn't always true, but I'd say have a look at who's offering the course/funnel and what they've actually done with their writing career... I wouldn't take bricklaying advice from a carpenter. Loved this common sense article, Adam. With one exception: many new writers could benefit from a few good courses. I will say that they need to be taught by people with a lot of formal training in writing and literature, AND with writing experience themselves. A good instructor cares about helping a new writer find his or her voice. And in helping the writer learn the basics about the craft, in order to then be able to turn out something good. Finally, some people - myself included - have success writing but also love to teach, and see others grow in skill and confidence. Don't bash us so easily. I still disagree wholeheartedly. I bought maybe 5 or 10 books on the craft of writing, and I now find myself having to teach the principles of writing to these 'writing teachers'. 5 or 10 books will set you back a whole lot less than a course. Excellent advice, and just what I needed to hear right now! However, I agree with Lichen about courses. I'd written a screenplay, and a novel before taking two creative writing courses with the Open University, which I'd recommend to anyone who feels they would benefit from professional feedback (not to mention excellent writing examples, and a thorough grounding in a more intellectual understanding of the craft) before launching their work out into the world. Courses can't teach or give you the inner desire to write, and neither will they spoon-feed you ideas, but they can improve your practical skills, although you do need to be discerning in your choice. It's now two nanowrimos, and three novels later, I'm totally addicted to writing, and genuinely appreciate Adam Croft's encouraging advice. Powerful. I have heard some of these tips before, but they certainly carry more weight coming from someone who has achieved a lot of success. I think the most important thing here is to keep writing. Amazing advice. 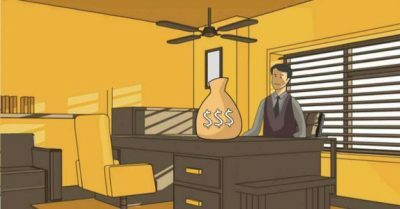 It's simple really: treat your books like a business and you'll make money. Treat them like a hobby and they will never grow beyond that. Patience and the perseverance are the secrets of getting self-published. First of all, we should take it as our profession. Otherwise, we cannot be successful. Secondly, we should choose a specific topic.Then start our writing. After finishing our writing, we should do the edit. For this, we may visit many writing reviews related websites like essaycompaniesreviews com from where we can get real and authentic recommendations of our audiences. Then we should edit our writing accordingly. It helps us to get fully prepared for publishing. Thank you.